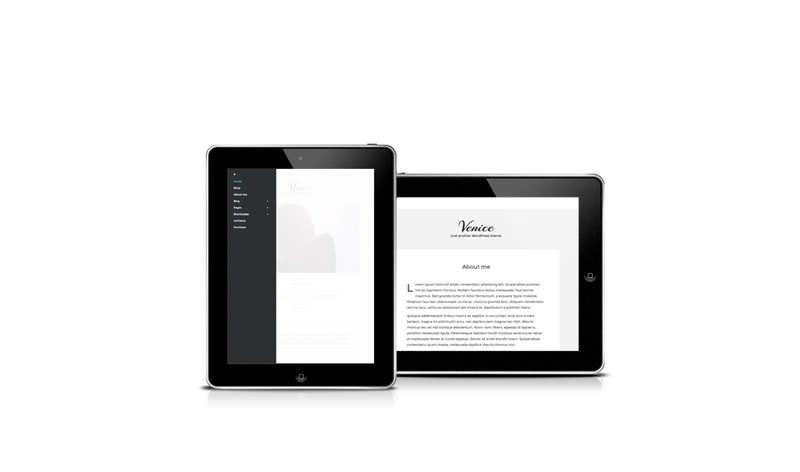 Your products will come alive thanks to the modern contemporary style of the Venice WordPress theme. Perfect for online stores and food blogs alike, both versions support the WooCommerce plugin. Venice makes customizing your website a breeze with its extended options panel, which means all you have to worry about is what you want to display. With 600+ fonts, 360+ icons and unlimited color combinations to be discovered, Venice can make your online store uniquely you. Venice supports WooCommerce plugin. With the premium version, you can manage each WooCommerce section. Load our sample data from WordPress importer, with all pages, articles and menu items. Import and Export the saved settings of your theme. For the gallery posts and the pages, you can use Nivo slider as slider. With the masonry layout, you can create a layout similar to Pinterest, for display the articles, the category and the WooCommerce section. 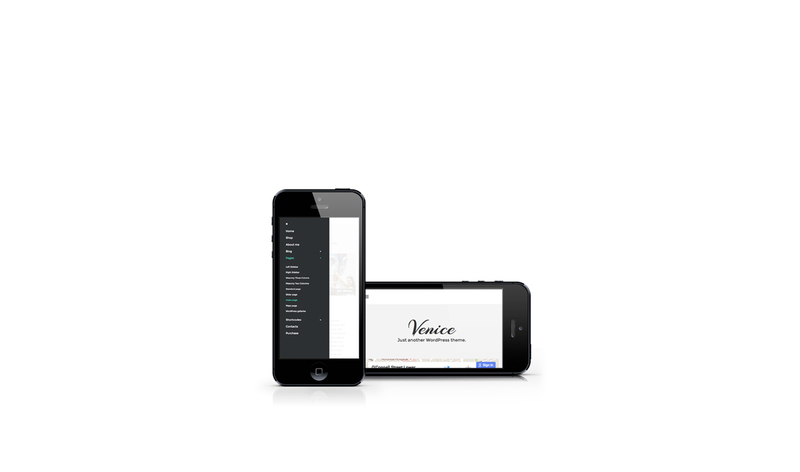 Venice has three widget areas (Header, Side and Footer). Is not possible create new sidebar areas, like our others theme like Sueva. Besides to the default WordPress widgets, the theme have other eleven different custom widgets. 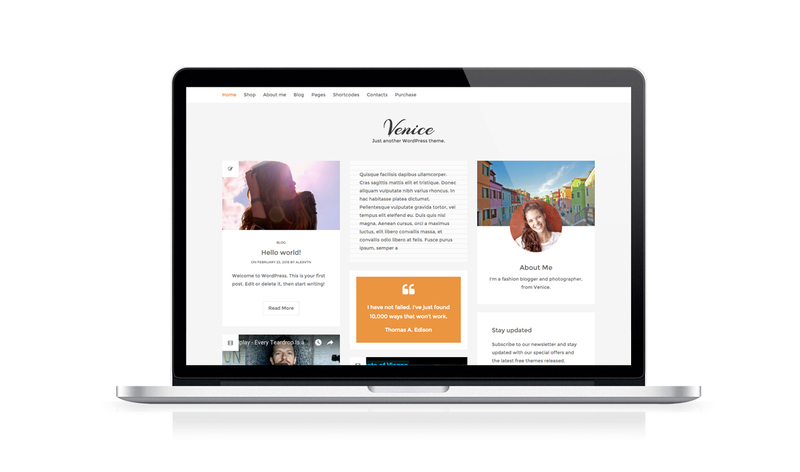 Venice WordPress theme is not subject to the GDPR as it does not processes and store any personal data of your visitors.